We’d love your help. Let us know what’s wrong with this preview of JOKES by Krisanta Bella. When we laugh, we get short term benefits such as laughter stimulates many organs, active and relieve our stress response and laughter soothes tension. Laughing also gives us long term effects as well, it improves our immune system, relieves pain, increase personal satisfaction and improves our mood. Laughter is really a great medicine, and most of the time it is free. You may just have a funny conversation with your family or friends, watch a funny movie or sitcom, or just ready funny books. Remember, in life the best ornament is humility; the richest wealth is wisdom; the strongest weapon is patience; the best security is faith; the best mental tonic is laughter. Live well, laugh often, love much and share God's blessings. 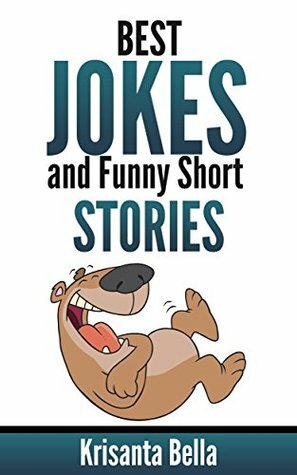 Read our collection of jokes and funny short stories. These jokes and funny stories are collected from different sources in the Internet. Download our book now, and laugh out those stress away. To ask other readers questions about JOKES , please sign up. Funny stuff! Was surprised I hadn't heard a lot of these, cause I'm pretty old. Only complaint...just wasn't long enough! I enjoyed your jokes and short stories, I think that just about anyone could read them without being offended. Not really laugh out loud funny, but the jokes were new to me and clean enough to share in church or at the dinner table, plus I downloaded it for free. I enjoyed both jokes and tongue twisters. Some of the jokes are definitely not for kids. Happy Reading. I don't like quotas.